Doha, August 08, 2017: The Communications Regulatory Authority (CRA) has reviewed the Spam Regulation published in December 2016 and made amendments that align it more closely with the Data Privacy Law published by the Ministry of Transport & Communications (MOTC) in December 2016. The revised regulation is designed to reduce the number of complaints about spam, direct marketing, and cybercrime lodged with Service Providers and CRA and enhance the overall experience of consumers in Qatar. The amendment also takes into consideration that unsolicited electronic messages or ‘Spam’ messages continue to be a cause of frustration for many consumers in Qatar, considering the large number of complaints received on the subject. Furthermore some of these communications take the form of fraudulent emails which claim to be from reputable companies and are designed to convince individuals to reveal personal information. The amended regulation sets out the particular obligations on Service Providers, senders and / or users of electronic communications for the purposes of direct marketing in relation to consumer privacy, personal data and cybercrime, in accordance with the relevant regulatory frameworks in Qatar. In line with CRA’s open and transparent regulatory processes, CRA has initiated a public consultation on the Draft Spam Regulation (Amended) and invites all stakeholders and interested parties to provide their comments in writing on the new Regulation before October 1, 2017. The CRA will also be hosting a workshop for stakeholders on September 17, 2017 to gather feedback assist Service Providers and the wider public in understanding their obligations. Findings of a brief survey conducted via CRA’s social media channels provide a direct insight into consumers feedback on spam and how they want it to be addressed (See attached infographic). These findings will also be taken into consideration while finalizing the regulation. “One of CRA’s core roles is to protect consumers and improve the experience of telecoms customers in Qatar. The amended regulation aims to do just that by bringing it more in line with the Data Privacy Law thereby increasing consumer data protection and significantly improving consumer experience of communications services across Qatar. As ever we follow a rigorous Public Consultation process that allows us to take into account, the needs of all stakeholders in an open and transparent manner,” said Amel Salem Al-Hanawi, Consumer Affairs Department Manager. 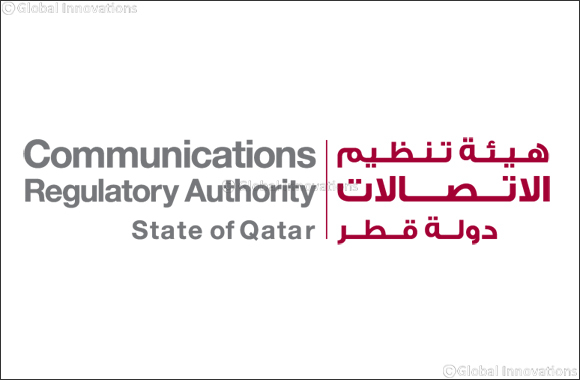 The Communications Regulatory Authority (CRA) is the communications regulator in the state of Qatar established by virtue of Emiri Decree (42) in 2014. CRA regulates the communications & information technology and postal sectors, and access to digital media. CRA uses its regulatory powers mandated by the Emiri decree to protect consumer rights, ensure competition, manage the resolution of disputes, and manage the electromagnetic spectrum. In all its activities, the CRA seeks to ensure the provision of advanced, innovative and reliable ICT and postal services across the state of Qatar.